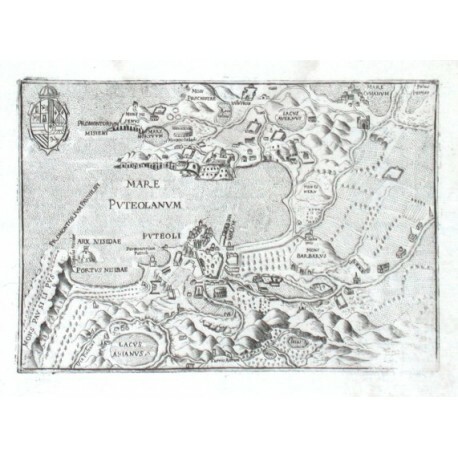 "Mare Puteolanum - Puteoli". Orig. copper-engraving by Pietro Bertelli. Published in "Theatrum Urbium Italicarum", Venice, ca. 1600. With coat-of-arms. 13:18 cm. 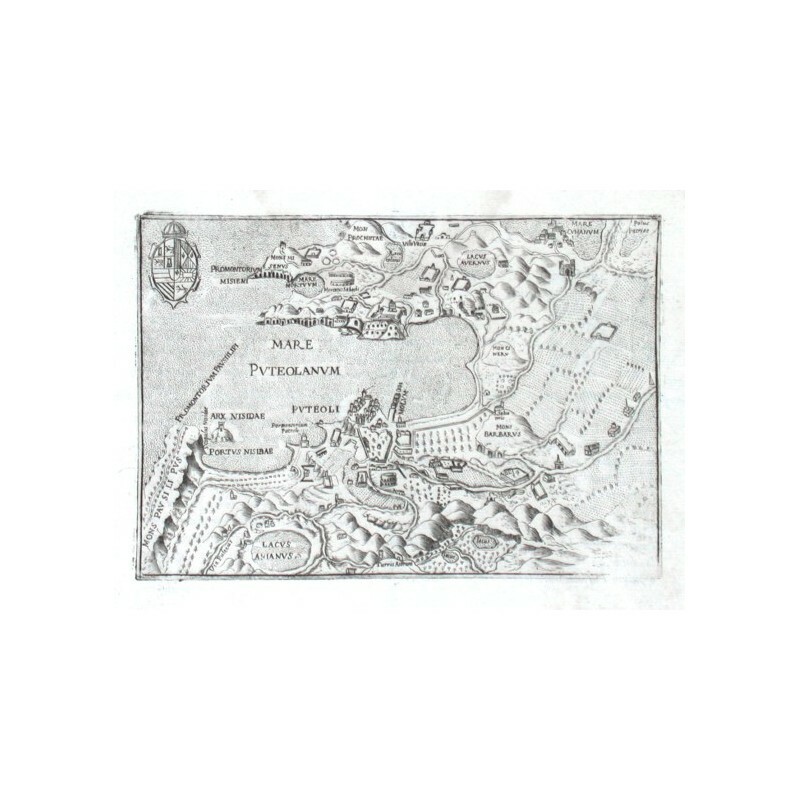 A birds-eye-view of the city of Pozzuoli (near Naples) and the bay of Pozzuoli. - Rare!